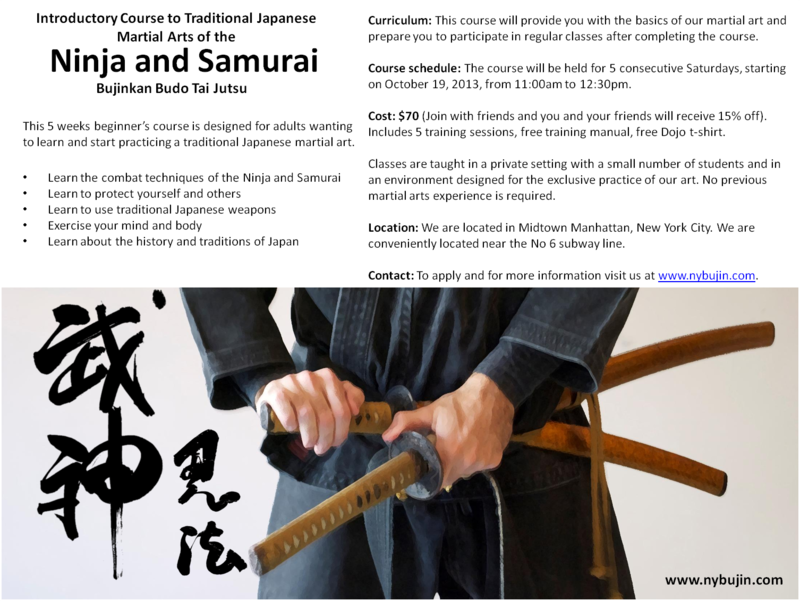 This 5 weeks beginner’s course is designed for adults wanting to learn and start practicing a traditional Japanese martial art. Course schedule: The course will be held for 5 consecutive Saturdays, starting on October 19, 2013, from 11:00am to 12:30pm. Cost: $70 (Join with friends and you and your friends will receive 15% off). Includes 5 training sessions, free training manual, free Dojo t-shirt.